How can you get the most out of your new fitness routine? Incorporate massage! Perhaps the most popular form of fitness training has been and likely will continue to be Pilates, a complete mind-body "experience" of physical conditioning which helps to build strength and stamina and increase flexibility, along with reducing stress, relieving muscle tension and stiffness; improving posture and aiding in the reduction of chronic pain. Pilates focuses on the core of the body - the abdominal muscles, lower back, hips and buttocks - and integrates deep-breathing techniques that help improve concentration and control. Pilates not only contributes to one’s physical well-being; it also helps to connect the mind to the body. Academy Massage recognizes the benefits of combining therapeutic massage with Pilates training to promote the strengthening of muscles and unwind tension, in effect helping clients to attain a stronger, relaxed and balanced body. In addition, both procedures promote healthier circulation that feed muscles, bones and internal organs with the oxygen and nutrients necessary to function properly. You might choose to have a massage prior to or following your yoga session. But keep aware that each performs a specific and effective function. Having a massage before a yoga session helps to warm and loosen muscles. As well, a pre-massage can make it easier to maintain the necessary concentration, sustaining focus by removing attention from the day’s worries, concerns and other distractions. Enjoying a massage after yoga creates a feeling of deep relaxation, a tranquil experience which may even last throughout the rest of the day. 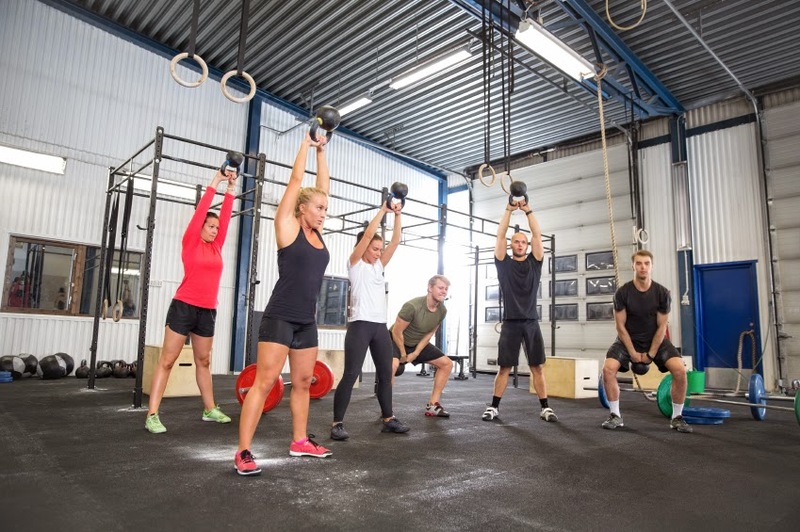 CrossFit is a popular fitness program that combines a variety of functional movements into a timed or scored workout. These systems may include pull-ups, squats, push-ups, weight lifting, gymnastics, running, rowing, and a number of other exercises. Each naturally puts a strain on one's body and so massage treatment will provide optimum benefits both before and after the strenuous workout. Before deciding to explore these latest fitness trends be sure to call Academy Massage for an individual consultation. Not only will our trained and licensed massage specialists assist you in choosing the right recommendation for your preferred exercise program, but our own specialized sessions are designed to promote your flexibility to decrease your risk of injury, and will aid significantly in improving your overall endurance. Studies indicate that allowing for a post-workout massage reduces recovery time and offers the necessary balance to those who are training for a long-distance marathon or other physical activity requiring staying power. You can rest assured that when it comes to aiding and supplementing today's fitness practices, Academy Massage will not steer you wrong. For most people New Year's comes with a new set of resolutions. Generally these are a commitment to improving oneself and embracing a healthier lifestyle, which may include quitting smoking, a determination to lose weight (always a concern after feasting during the Holidays) - or to begin and maintain an exercise regime. 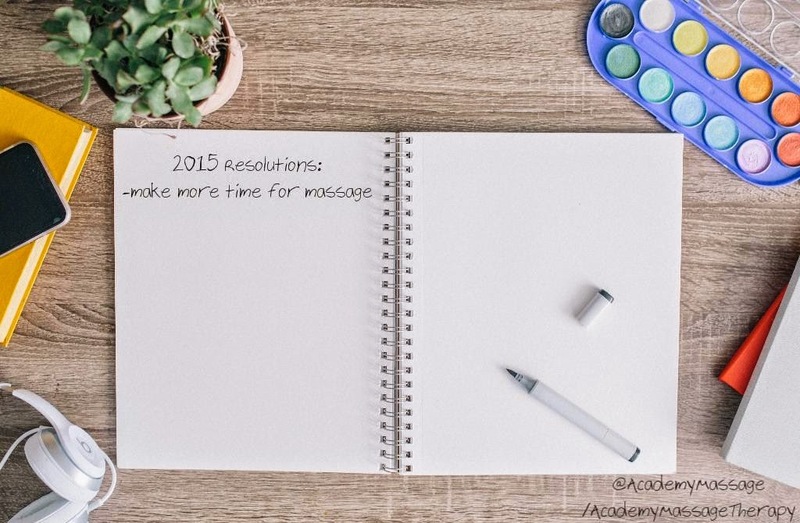 Whatever your resolutions for 2015, your friends at Academy Massage would like to remind you that incorporating regular massage into your health, fitness or personal care program can enhance the benefits and leave you relaxed and free of stress and anxiety, or invigorated, pumped with extra energy, primed for that upcoming workout. Massage has been an effective healing tool in many cultures for thousands of years as ancient practitioners discovered the numerous body and mind benefits ranging from treating chronic illness to restoring physical peace and balance. And so as a new and exciting year has come upon us, Academy Massage would like to remind our valued clients - old and new - that massage should not be considered a mere indulgence. It is part of maintaining a healthy lifestyle. We wish one and all a Happy, Healthy and Prosperous 2015!